'Tis the season for Lilies! No, I do not refer to Christmas lilies that have been grown in a greenhouse; but hardy lilies that have been grown in the garden. It is lily season in the Pacific Northwest! I consider lilies to be the grand dames of the garden, but never prima donnas. 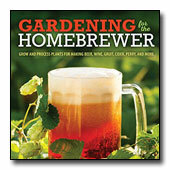 These plants are hardy to USDA zone 4 and are not fussy, requiring normal garden soil and water conditions. They prefer full sun but will also do well in dappled shade. The perfect garden condition for true lilies is to be planted with small shrubs or perennials in order to shade their roots. Lilies grow in a range of heights, from 3 to 9 feet tall. They grow on strong stalks, only needing staking when grown in too much shade. 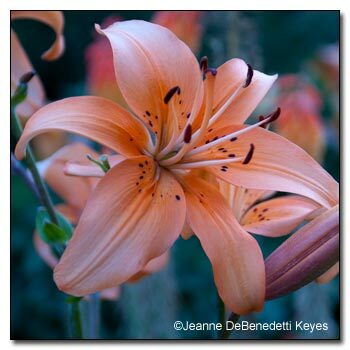 I love planting lilies along paths so I—I mean, visitors—can indulge in the luscious fragrance and see the large blooms up close. Check out some of these beauties. The first photograph shows Lilium 'Scheherazade' (top right), an outstanding "Orienpet" hybrid lily with deep red recurved flowers, edged in gold, with shading to white along the margins. 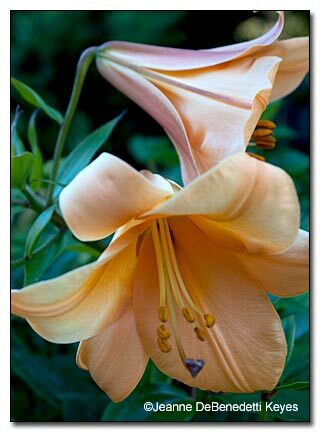 This lily can easily reach eight feet tall and has a wonderful fragrance. One of my favorites, Lilium 'African Queen' (second right) is a soft, peach colored trumpet lily with a beautiful form and intoxicating fragrance. I love the purple banding on the back side of the petals. I bought this lovely apricot-colored lily, Lilium 'Elise' (below left) for my daughter, Sophia Elise. Lilium 'Elise' is an Aurelian hybrid with L. henryi ancestry, which is evident in its broad, green leaves, rich color and later flowering time. Lilium lancifolium (below right), commonly known as a "tiger lily", is native to northern and eastern Asia. In optimal conditions, this lily grows to six feet tall. Unlike the hybrid lilies, this species lily forms small bulblets along the leaf axils on the stems. These bulblets can be used to propagate the plant and often are dispersed by birds. 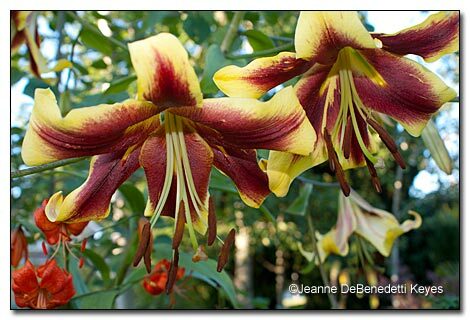 Although the flowers on this lily are much smaller than the hybrids, they are very plentiful. As one flower withers, there is another to take its place. 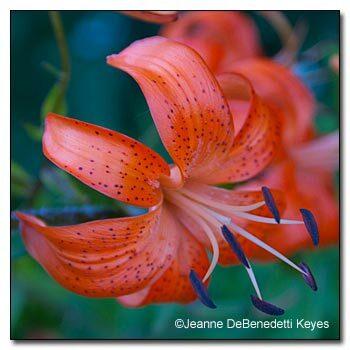 Lilies are useful, easy care plants that provide much needed color in the summer garden.